What Are the Pros and Cons of Using Large Wine Glasses? Large wine glasses are usually more expensive a harder to store. Large wine glasses may break more easily. Many wine enthusiasts maintain that red wine should be served in a large oval or egg-shaped glass that tapers toward the top. 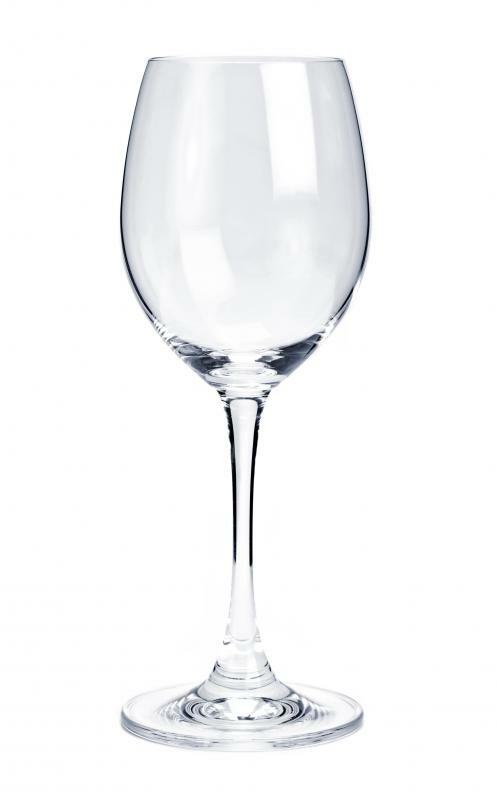 Large wine glasses, sometimes referred to as balloon glasses, have a larger bowl than regular wine glasses. Many wine aficionados believe that large wine glasses make a better wine-drinking experience, since they allow the wine to breathe better. Wine in a larger glass also makes smelling the wine easier, and it is often considered to look more elegant. Larger wine glasses, however, are usually more expensive and harder to store. They can also make it a bit harder to tell how much wine is being served. Most wine, especially rich red wine, should be allowed to breathe before it is drunk. This means that the wine is exposed to the oxygen in the air. This can help soften tannins in the wine, improving the taste. Wine that is allowed to breathe properly often has a mellow taste. One of the biggest advantages of large wine glasses is that they allow the wine to breathe better. This is simply because the bowl of the wine glass is larger. A larger bowl will expose more of the wine to the air. Smelling a wine before drinking it is also considered important. The aroma of a particular wine, sometimes known as the nose, can help a wine drinker detect certain undertones in a wine. Smelling a wine before drinking it can also help detect if an older wine has gone bad. Large wine glasses make it easier to smell wine before drinking it. This is because there is more of the wine exposed to the air. The design of these types of glasses also help keep the aroma inside the glass. High-end restaurants often use large wine glasses to serve their guests. These types of glasses are typically considered to be classier than other types of glasses. Using large wine glasses at home can create an elegant air to an otherwise casual dinner party. Individuals on a budget or casual wine drinkers may not want to invest in a set of large wine glasses. These types of wine glasses are typically a little more expensive than other types. 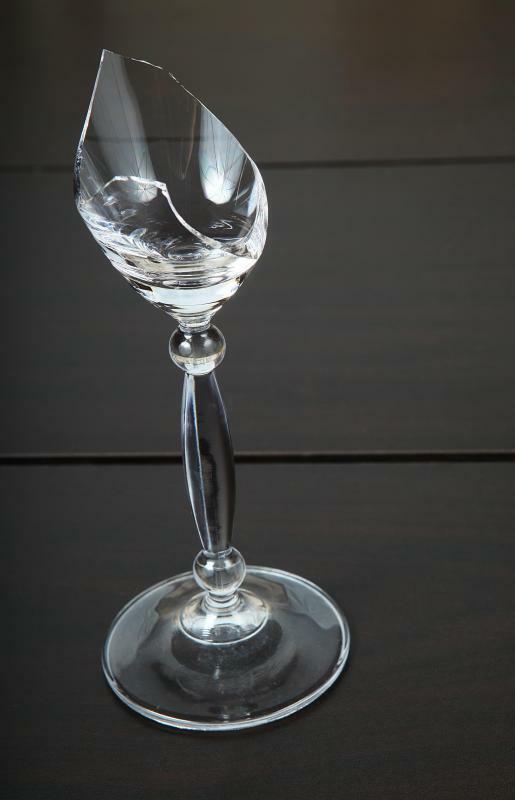 Restaurants or homes that deal with a lot of broken glassware should probably avoid large wine glasses or store them until needed. Another disadvantage of large wine glasses is that they take up more space than regular wine glasses. This makes it a little more difficult to store them. A typical wine rack may only hold a few of these types of wine glasses. 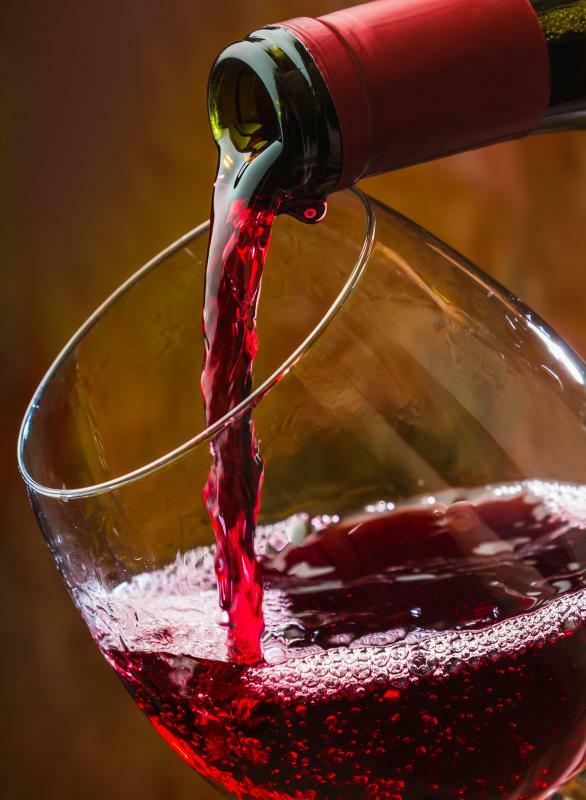 A typical serving of wine usually consists of 4 or 5 fluid ounces (118 or 148 milliliters) of wine. With large wine glasses, a host may have difficulty determining how much wine is poured. Out of habit, he may fill a large wine glass halfway, like he would with a regular wine glass. This can cause the guests to drink too much wine and become inebriated. What Are Balloon Wine Glasses? What Are the Different Types of White Wine Glasses? What Are the Pros and Cons of Acrylic Wine Glasses? How Do I Choose the Best Dessert Wine Glasses? What Are the Pros and Cons of Using Decorated Wine Glasses? What Are the Pros and Cons of Using Small Wine Glasses?